The winning side to take home cheque of $2.2 million; $1.1 million for runner-up. 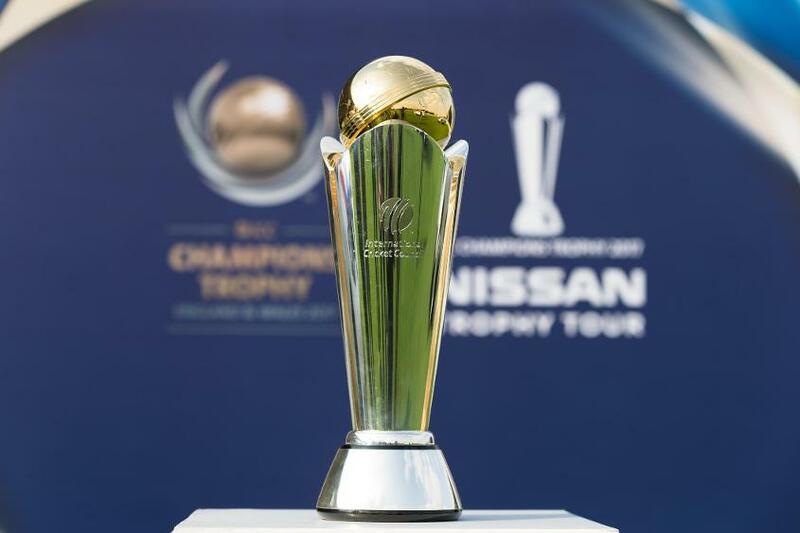 The upcoming ICC Champions Trophy in England and Wales from 1-18 June carries a total prize money of $4.5 million with the winner of the eight-team tournament taking home a cheque of $2.2 million, the International Cricket Council announced today. The eighth edition of the tournament sees an increase of $500,000 in prize money from the 2013 edition, which too was played at the three venues being used this time - Cardiff Wales Stadium, Edgbaston and The Oval. The runner-up of the tournament will get a cheque of $1.1 million, while the other two semifinalists will earn $450,000 each. Teams finishing third in each group will take home $90,000 each, while the teams finishing last in each group will get $60,000 each. Meanwhile, the ICC has also announced the schedule of media conferences that will take place in the lead up to the tournament. Two-time former champions Australia will get the ball rolling when Steve Smith will hold his presser inside the Lord’s Museum on Wednesday, 24 May, at 12h30. On the following day, also in London but at The Grange Hotel (8-14 Cooper's Row), defending champion India, Sri Lanka and New Zealand captains will hold their media conferences at 13h00, 13h45 and 15h00 respectively. Prior to the three pressers but at the same location at 11h30, Chairman of the ICC’s Anti-Corruption Unit, Sir Ronnie Flanagan, will address the media. Pakistan and Bangladesh captains will hold their pre-tournament media conferences at Edgbaston in Birmingham on Friday, 26 May, at 13h00 and 14h00 respectively. The ICC has also confirmed the schedule of mixed zone activities post the warm-up matches. Each team, except England and South Africa, which will be busy in their bilateral series, will attend mixed zone in which they are expected to put up, at least, four players each who will only take questions that are related to the tournament. The same format will be repeated during the tournament proper. At Edgbaston, the mixed zone will take place in concourse, between Gates E2 and E3, while at The Oval, the mixed zone will take place on concourse between the player entrance and venue exit gates. Although NRH camera operators are not allowed inside the venue on match days, the ICC will make an exception for pre-event mixed zone only so that the TV news channels can cover the mixed zone. The TV camera operators are advised to assemble outside Gate E3 at Edgbaston and outside Alec Stewart Gate at The Oval 30 minutes before the end of the matches so that they can be escorted to the mixed zone area.